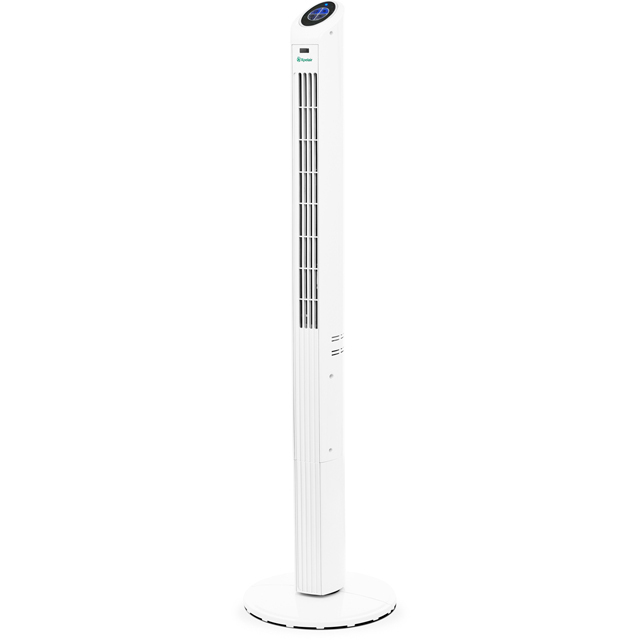 Keep your home cool with this great tower fan from Xpelair. It has a 40 Watt power output and 3 different speed settings, so you’ll soon be able to relax in the perfect environment. It has an oscillating function too, which means it’ll circulate air over a wider area to ensure every corner of your lounge or kitchen stays at the ideal temperature. This model can even help you get to sleep on hot summer nights, as there’s a handy timer that you can set to switch off after anything up to 8 hours. You won’t need to get up to adjust the settings either, as it also comes with a remote control.